Bring the crate to the room and put a soft blanket in the crate. Sit back next to the crate, propping the doorway open with your body so that it won’t swing and scare your puppy. Call your pet in a sing-song, happy voice. You may even incorporate the “come” command at this stage. Reward your pet with a treat, then put a goody on the ground as you’re watching his crate, don’t forget to put some sweet treats in the crate. 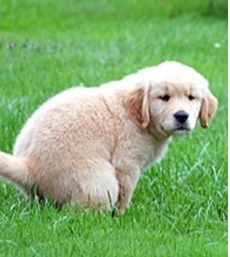 If your dog hesitates and backs up, that’s okay, don’t try to coax him. Leave the treats and walk away. You might want to repeat this process a few times. If food or treats usually are not an enticement, try a toy. In case your dog runs into the crate to retrieve a ball, it absolutely was his idea to get into it. The end result with this is to make your puppy believe it was his option to walk into the crate, not yours. 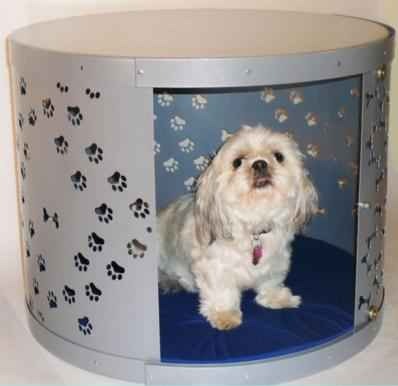 When your dog will walk in the crate on his own, you can start feeding him his meals inside. In the beginning leave the doorway open while he is eating. Whenever you feel the time is appropriate, have him enter his crate, put the food down, praise him, and shut the doorway. When he’s finished eating, immediately open the entranceway. If he is at ease with the doorway being closed, slowly lengthen time before you decide to open the door after he is finished eating. If he starts to bark, you may have increased the length of time before opening the door. This can be a critical point. You cannot permit him to go out before he stops barking, otherwise he can then associate whining to going out of his crate. Hold back until he’s quiet, and then permit him to get out. At his next feeding, cut back the time and proceed following that.